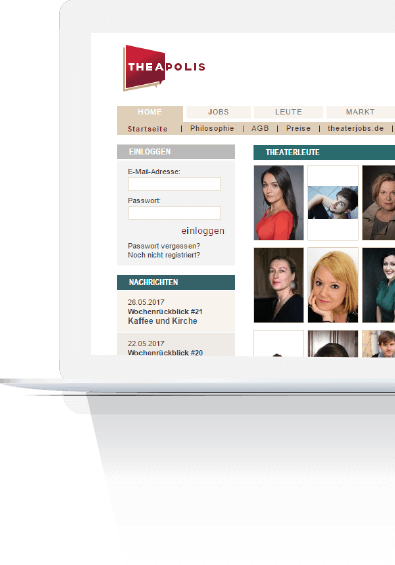 Theapolis.de, founded in 2000, is with over 12,000 members the biggest portal in Germany for people looking for their next theatre gig. 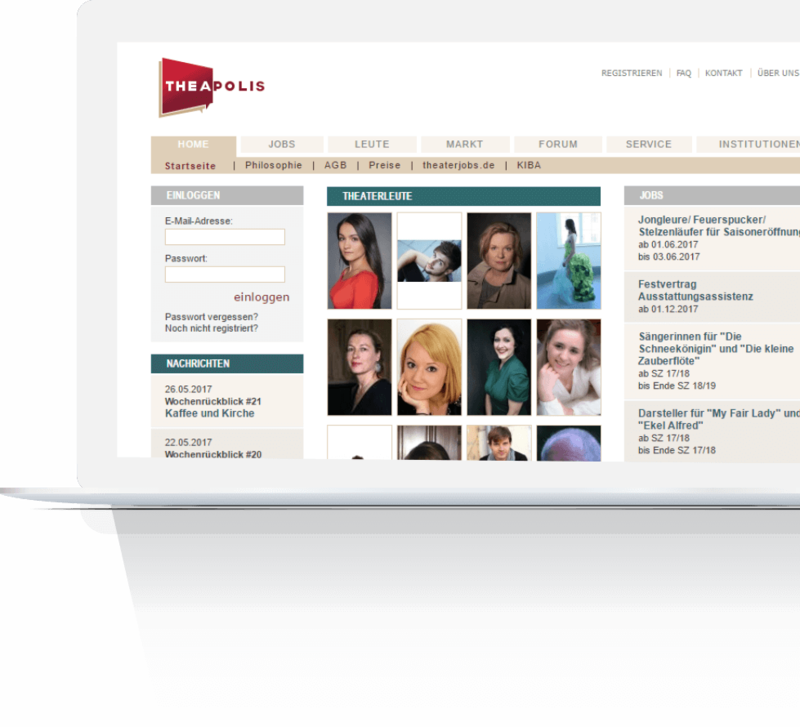 Over 4.000 theatre producers use Theapolis to find the right people for their production. In the year 2015, 10,000 different jobs were available to be discovered. Briefly, Theapolis is several things in one. For one, artists can create their own profile for a small yearly fee to be present themselves and be visible, and apply for published Theatre jobs. Theatre productions on the other hand, can contact individual people on their profile, post jobs, or see the applications they got. In the forum, like-minded people can discuss various topics. On the marketplace, people can offer their theatre-related services. Last but not least, there’s a blog available with the latest news on theatre. Since the beginning of Theapolis, not much has changed, while on the web as a whole many things were new. After sitting together, we’ve come up with a list of technical and security upgrades, much better overall performance, implementation of a new more user-friendly design and various improvements. Theapolis.de has a dedicated team of five people at Manoolia. As the relaunch list of features is a big challenge with lot´s of things to develop, we split it in shorter, more frequent releases. 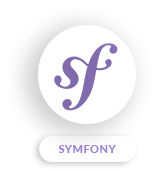 On the first release, which is already reachable online, we focused on the backbone by upgrading Symfony and doing minor UI changes. For the main release, we have rewritten the whole structure modular to be flexible, implemented new features, and setup the new design to give a significant new user-experience.